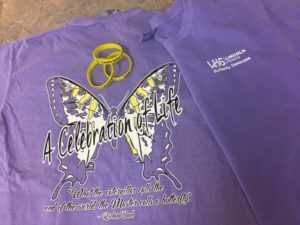 The second annual Lincoln Hospice Celebration of Life Butterfly Release is quickly approaching. We invite you to celebrate your loved one in a special way by participating in our Celebration of Life Event. 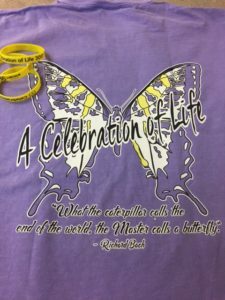 We will release butterflies in memory of loved ones as a beautiful way to celebrate the lives of those who are no longer with us. Everyone is welcome! This year’s event will be held on June 4th at 2:00pm at Stone Bridge Park in Fayettteville, Tn. In 2016, Lincoln Hospice hosted a Butterfly Release as both a memorial to our patients and as a community event to raise awareness of Hospice and the invaluable services we can provide. This year, we are expanding the event to help raise funds to support our program. Lincoln Hospice is an affiliate of Lincoln Health System, a non-profit organization. We care for more than 125 hospice patients each year providing vital end of life care as well as support for families and caregivers. Although Medicare and other insurance benefits pay for hospice care, some supplies and medication costs exceed those payments. Our bereavement program, which provides support to families for a year after the death of a patient, is not included in any insurance reimbursement. In addition, we provide care to all eligible patients, regardless of ability to pay. The use of volunteers and the receipt of generous donations help offset not only the cost of providing charity care, but also costs associated with the bereavement program and community outreach and education. For More information, or to place an order, please call 931-438-8088. Checks can be mailed to Lincoln Medical Home Health and Hospice, 1797 Wilson Parkway, Fayetteville, TN 37334.